The Goble Tavern is pretty much all that's left of the town of Goble, Oregon, named after trapper Daniel Blue Goble's donation lands claim in 1852, and once bustling center of a train ferry across the Columbia to Kalama, WA, where up to six trains a day stopped on the way to Seattle, and wood-burning steamboats pulled alongshore to refuel. 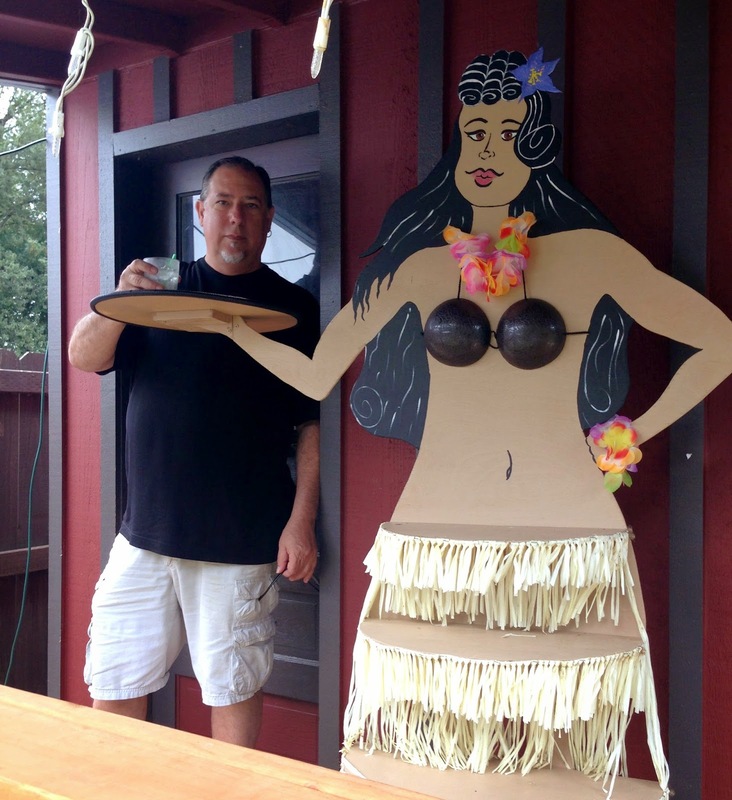 In the lumber boom days around the turn of the century, many of the hundreds of loggers working in the area would pour into town on the weekend and dance at the Red Men Lodge Hall. 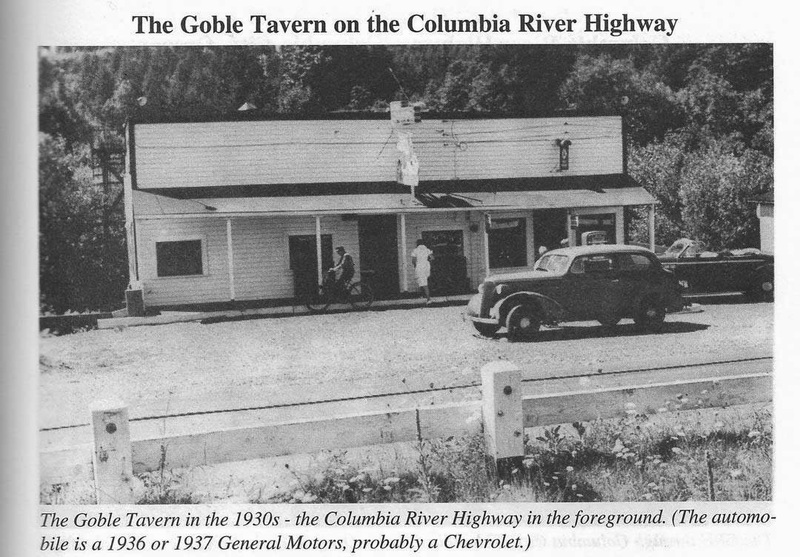 The Goble Tavern, sitting about 150 feet west of the Columbia, just before the big river starts to curve westward, about halfway between Portland and Astoria, dates its founding to 1926. 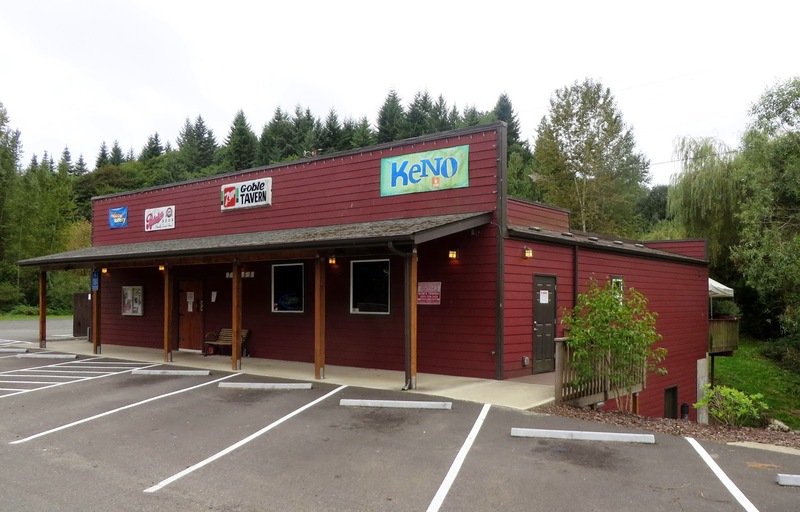 Of course at this point it would not have been a licensed tavern, as prohibition ended only in 1933, but it does appear to have become a bar shortly thereafter. The place had a substantial remodel completed in 2008, which was probably good for business, though I personally would have preferred the version that was a bit more ramshackle -- or "a shithole," in the vernacular of a bartender at the WigWam down the highway, with low ceilings, a 7-inch drop off in the old floor, and more than its share of old rockers and drugs. Lenny, the bartender we chatted with, preferred it then. But it's still a great place, with lots of historical links and gewgaws, and an emphasis on music. People claim that Hank Williams once played here in the 40s, and that a teenage Willie Nelson hung around the area when his mother was a bartender here. A check of Willie's wikipedia page does indeed note that as a teen he hitchhiked his way from San Diego to Portland because his mother, who had left the family shortly after his birth, was living in the area. Willie got a job at KVAN in Vancouver and cut his first record from there. 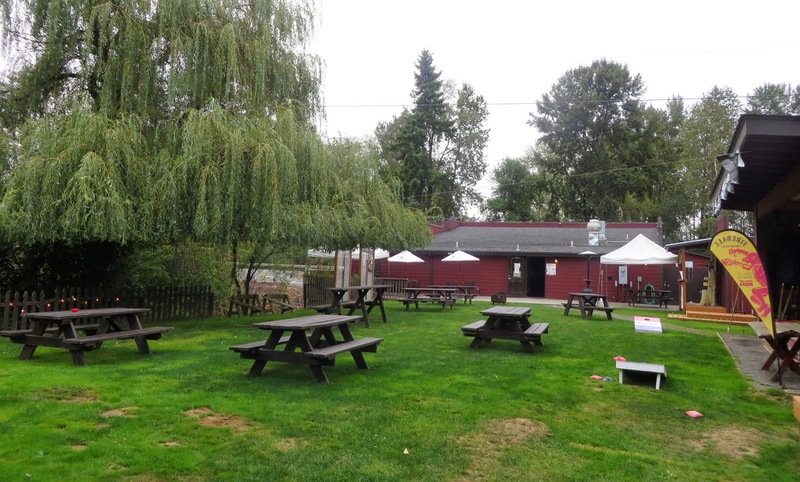 Music is still a big part of the tavern, with guitars and various other instruments hanging on the walls, a stage for live music (where Lenny sometimes joins in on harmonica), an ever larger performance area in the sizable patio area out back, and an annual "Goble Warming" festival each August. 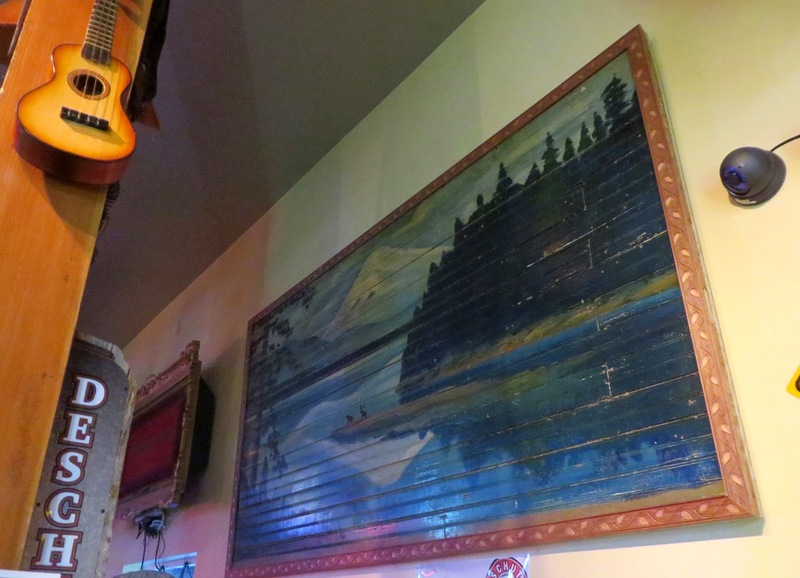 They preserved a few warps from the old floor and cut out and hung a mural painted on the old wall, one of several done by an old local artist in exchange for his booze. 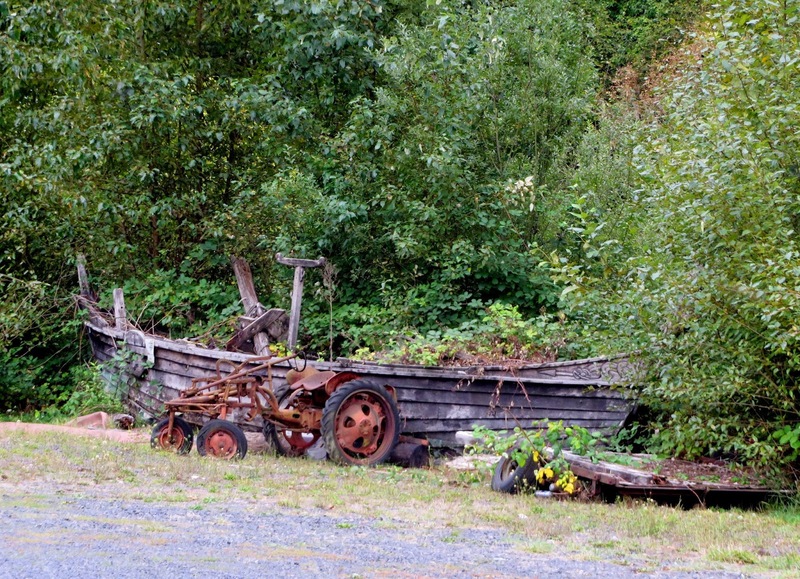 The parking lot includes an a rotting wood boat and antique tractor, and occasionally has to be cleared of a tree dropped by local beavers. 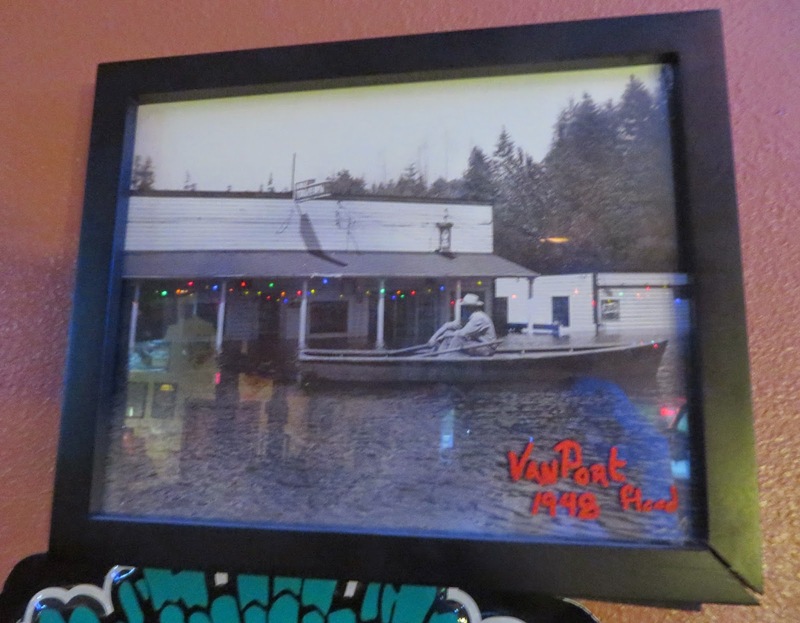 They have a full bar with some good beer choices, and a menu of pretty typical bar food -- burgers, fish and chips, and various fried foods. 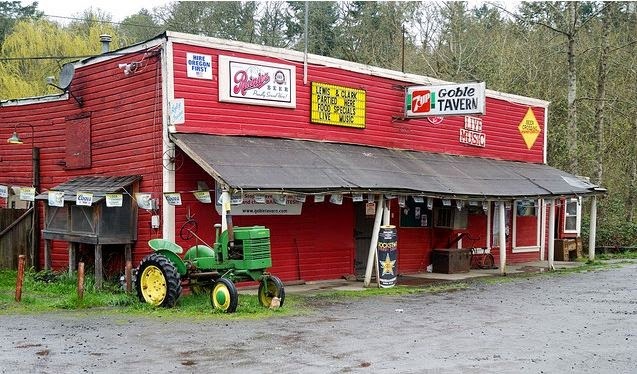 It was nice stopping by on a lazy afternoon drive up Highway 30, but I'd also love to swing by some Saturday night when the music is playing and the place is hopping, and hope to even make it for Goble Warming.